Provides family-focused mental health treatment and services for behavioral, emotional and substance-abuse disorders to children and families. Referral: For in-home and office-based services, individuals may refer themselves or be referred by their doctor. For residential services, referrals must come from the courts, the county or another referring agency. Click to search for free meetings in your area. Offers various levels of care to support children and teens diagnosed with an eating disorder or disordered eating. 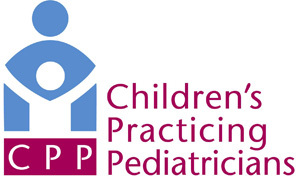 Patients are managed by adolescent pediatricians, psychologists, social workers, nurses and dietitians. Program: outpatient mental health, trauma, grief and other behavioral health counseling; case management services, school-based therapeutic intervention and prevention services; intensive outpatient program for substance use disorder. They also offer mentoring, integrated primary care, Help Me Grow and more. Provides in-depth solutions for drug and alcohol abuse and co-occurring mental health issues (like depression, anxiety, bipolar disorder, trauma, or an eating disorder). This faith-based organization offers low-cost counseling at many locations throughout Columbus. They also have licensed counselors who see kids with anxiety issues, behavior problems, depression, ADHD, stress, anger issues and more. Their student interns see clients at very reduced rates as part of their training in their masters program, under the supervision of licensed counselors.